WTV - Watan TV (Jordan) broadcasts in DVB-S Clear on 10971.00MHz, pol.H SR:27500 FEC:5/6 SID:5740 PID:5742[MPEG-4] /5743 Arabic. A new channel has started in DVB-S Clear: WTV - Watan TV (Jordan) on 10815.08MHz, pol.H SR:27485 FEC:5/6 SID:50 PID:848/1104 Arabic. WTV - Watan TV (Jordan) broadcasts in DVB-S Clear on 11096.00MHz, pol.H SR:27500 FEC:5/6 SID:28 PID:808/1064 Arabic. WTV - Watan TV has left 11012.00MHz, pol.H (DVB-S SID:8020 PID:1820/2820 Arabic), it is no longer transmitted by satellite in Europe. WTV - Watan TV has left 11096.00MHz, pol.H (DVB-S SID:27 PID:807/1063 Arabic), it is no longer transmitted by satellite in Europe. A new channel has started in DVB-S Clear: WTV - Watan TV (Jordan) on 11096.00MHz, pol.H SR:27500 FEC:5/6 SID:27 PID:807/1063 Arabic. WTV - Watan TV (Jordan) broadcasts in DVB-S Clear on 11106.00MHz, pol.H SR:6670 FEC:3/4 SID:3002 PID:1102/2102 Arabic. WTV - Watan TV (Jordan) broadcasts in DVB-S Clear on 11766.00MHz, pol.V SR:27500 FEC:3/4 SID:4016 PID:1216/2216 Arabic. A new channel has started in DVB-S Clear: WTV - Watan TV (Jordan) on 11106.00MHz, pol.H SR:6670 FEC:3/4 SID:3000 PID:8002/8114 Arabic. WTV - Watan TV switched to Atlantic Bird 4A satellite at 10892.00MHz, pol.H (DVB-S , 10892.00MHz, pol.H SR:27500 FEC:3/4 PID:524/1291 Arabic). WTV - Watan TV (Jordan) broadcasts in DVB-S Clear on 11075.00MHz, pol.V SR:27500 FEC:3/4 SID:1002 PID:8002/8114 Arabic. New SID for WTV - Watan TV on 11977.00MHz, pol.V FEC:3/4 SR:27500: SID:2 ( PID:49/308 Arabic,310 Arabic - Clear). WTV - Watan TV is testing in DVB-S Clear on 11977.00MHz, pol.V SR:27500 FEC:3/4 SID:5 PID:4376/4377,4384. 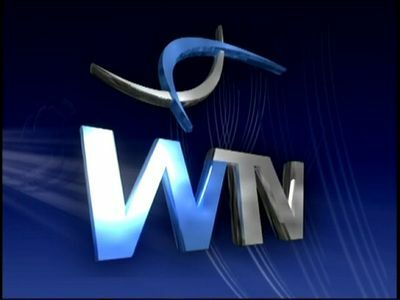 WTV - Watan TV (Jordan) broadcasts in DVB-S Clear on 11585.00MHz, pol.V SR:27500 FEC:3/4 SID:2020 PID:512/39 Arabic. WTV - Watan TV (Jordan) broadcasts in DVB-S Clear on 12566.00MHz, pol.V SR:27500 FEC:3/4 SID:2025 PID:512/39 Arabic. WTV - Watan TV (Jordan) broadcasts in DVB-S Clear on 10892.00MHz, pol.H SR:27500 FEC:3/4 SID:20 PID:544/1568 Arabic,2080. New PID for WTV - Watan TV: PID:49/308 Arabic,310 Arabic SID:1 (11977.00MHz, pol.V SR:27500 FEC:3/4 - Clear). New SID for WTV - Watan TV on 11977.00MHz, pol.V FEC:3/4 SR:27500: SID:1 ( PID:49/52 Arabic,54 Arabic - Clear). New SID for WTV - Watan TV on 11977.00MHz, pol.V FEC:3/4 SR:27500: SID:702 ( PID:49/52,54,60 Arabic,62 Arabic - Clear). WTV - Watan TV (Jordan) broadcasts in DVB-S Clear on 11977.00MHz, pol.V SR:27500 FEC:3/4 SID:3 PID:49/52,54,60 Arabic,62 Arabic. New frequency for WTV - Watan TV: 11662.00MHz, pol.V (DVB-S SR:27500 FEC:3/4 SID:160 PID:101/102- Clear).